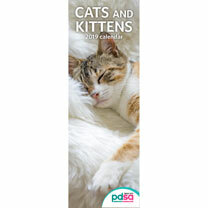 This PDSA calendar is perfect for cat & kitten lovers, each has twelve delightful photographs. 43 x 14cm. Supplied with envelope.